It’s quite hard to define exactly what it is that makes this BMW 750i L so alluring. 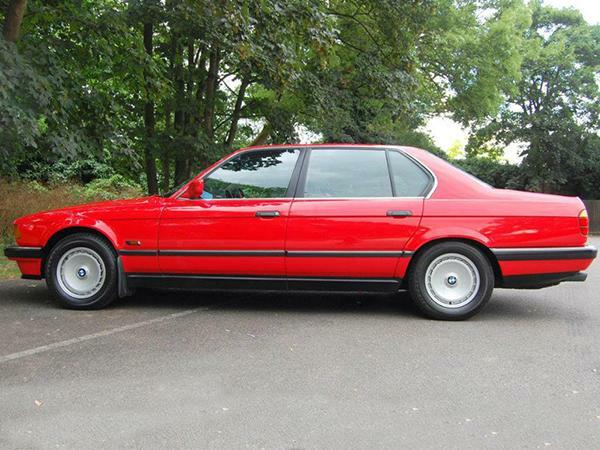 As an E32 generation car (first introduced in 1986), it’s not the first 7 Series introduced. 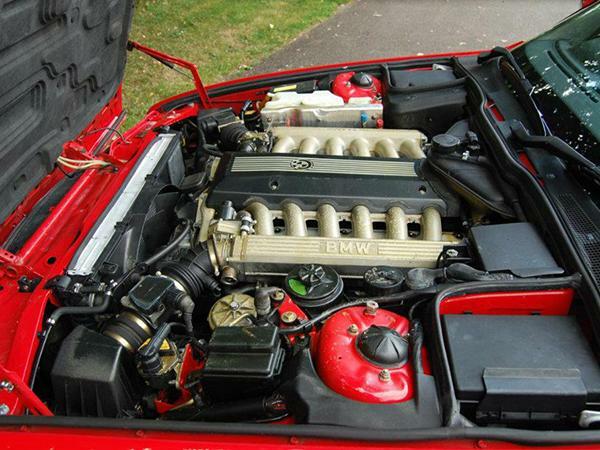 It’s arguably not the most significant either; its E38 replacement sold in greater numbers, for example, and the Bangle designed E65 introduced a wealth of new technology to the 7 Series. Furthermore, even though it’s fairly old by car standards, hailing from 1990 hardly makes it notable for its age. And yet there’s something incredibly appealing about this 750. The red must have something to do with it, as it’s such an unusual colour for a luxury saloon and yet suits it so well. A V12 will also have its own charm too, even if there’s probably a fairly significant bork factor associated with running one. And would you just look at those wooden picnic tables?! Perhaps more than anything else it’s the style that sells this 7 Series so well. 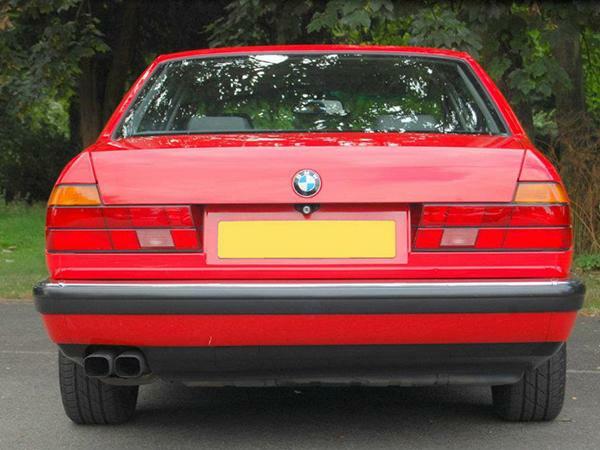 Of course these points are always up for debate, but the late 80s and early 90s does now appear to have been a real high point of BMW design. Think of the models around back then: 6 Series became 8 Series, E28 5 Series became E34 and the E30 was looking just as good as it did earlier in the 80s. There was nothing especially complex about the look of any of them, and the same is true for the 7 Series. It’s simple, well proportioned and very well executed. A classic saloon – with an amazing set of wheels – that’s aged rather well. Well, in our opinion at least. This generation of 7 Series is from a rather strange time in the history of the luxury saloon, introduced a few years before the game changing W140 S-Class; that car moved things on so far from the W126 that the 7 Series after this one had to match it. 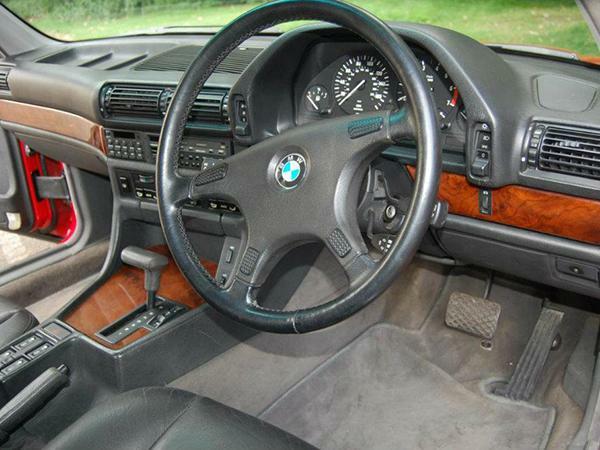 So this car, despite being a 90s 7 Series, is still rather old fashioned, trading on space and materials for a sense of luxury rather than gadgets. Or perhaps we’re being too favourable on it. 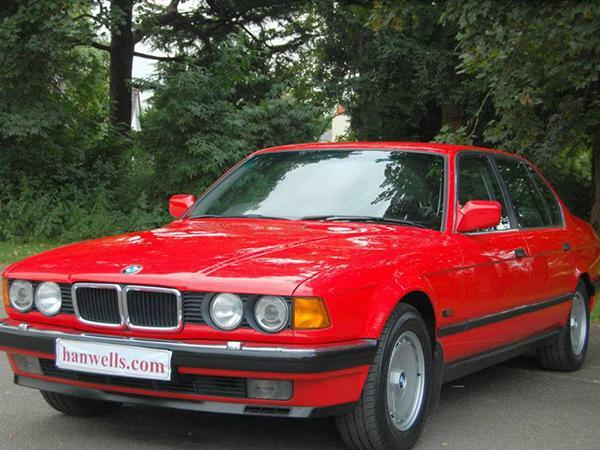 Regardless, if you want an E32 7 Series, it seems unlikely that you will find one better than this. 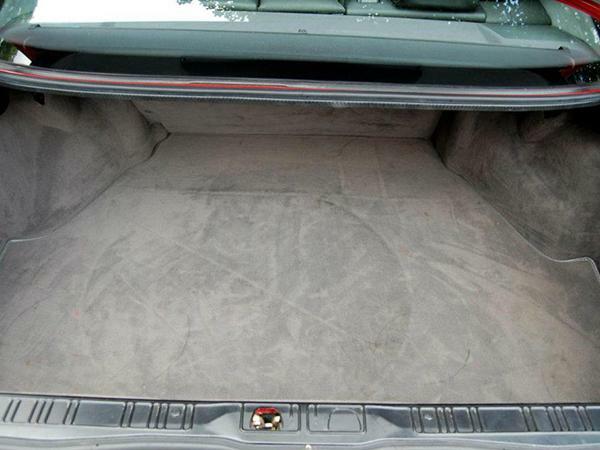 It has covered just 68,000 miles with one owner and is said to be in perfect condition. It even has a sunroof, for that full retro luxury vibe. Despite the alternatives, the 750 remains a very attractive proposition. Perhaps it’s the V12. Perhaps it’s the style. Perhaps it really is just the red. Whatever the reason, it looks a damn cool big saloon. And who doesn’t want one of those?